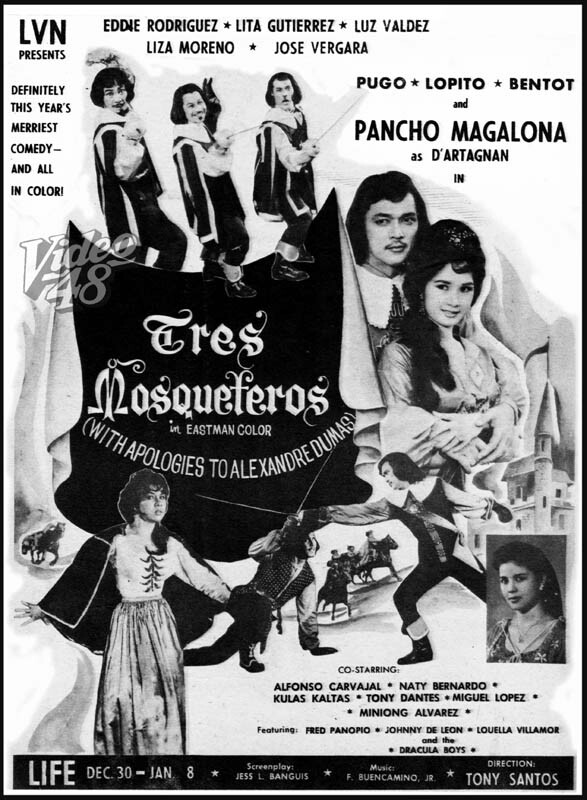 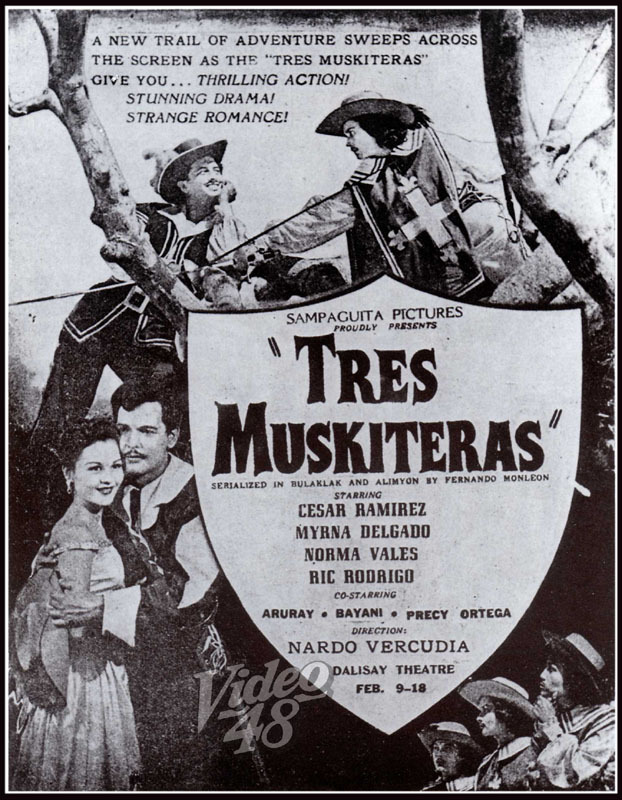 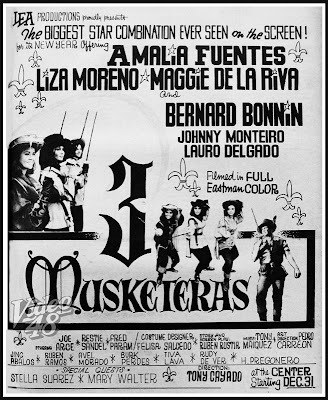 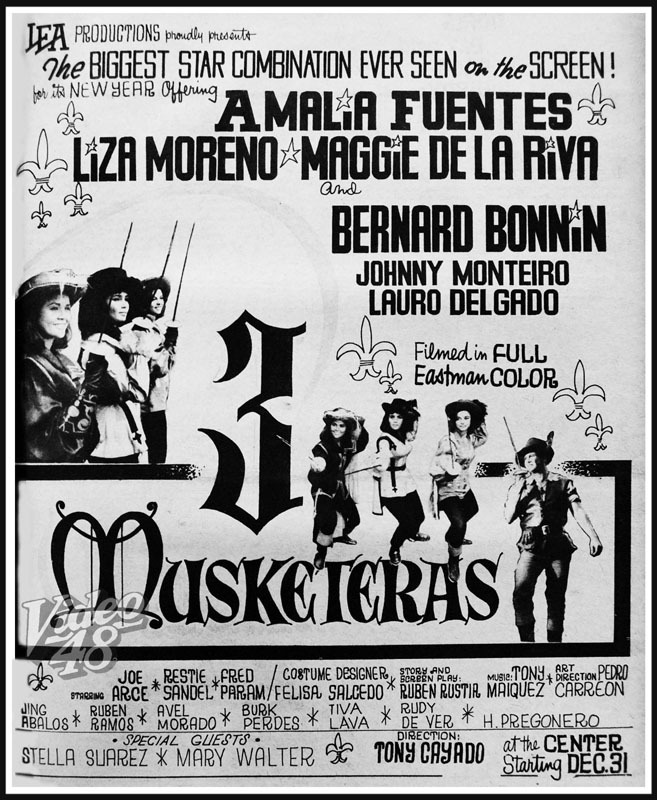 Alexandre Dumas' The Three Musketeers have been adapted into local screen countless times--- "Tres Muskiteros" (1951); "Tres Muskiteras" (1954); "Tres Mosqueteros" (1960); "3 Musketeras" (1964) and " Si Ako at ang Tres Moskiteros" (1982). 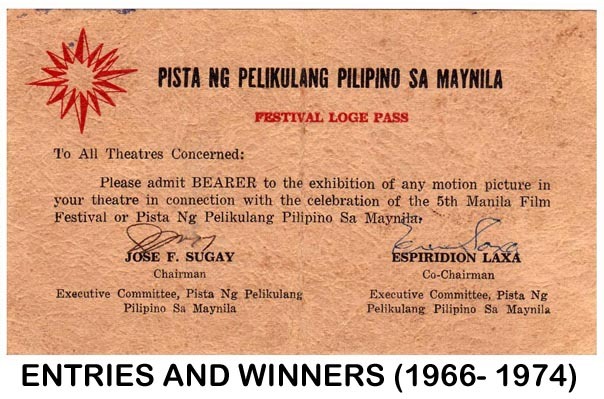 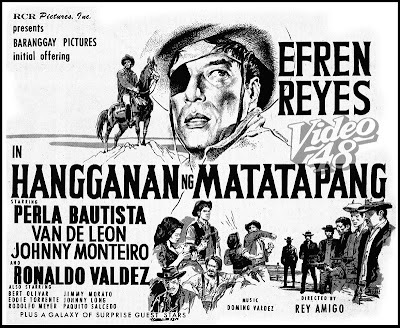 THE 60s: THE DECADE OF PINOY "WESTERN"
Efren Reyes Sr. started it all and Fernando Poe, Jr. popularized it. 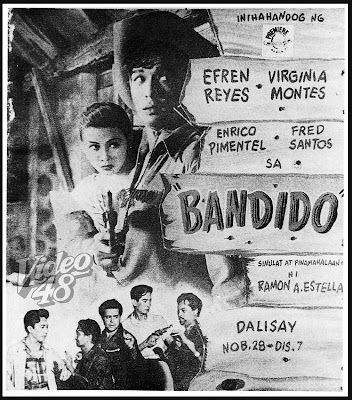 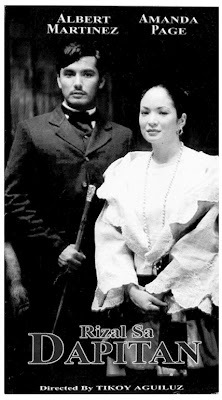 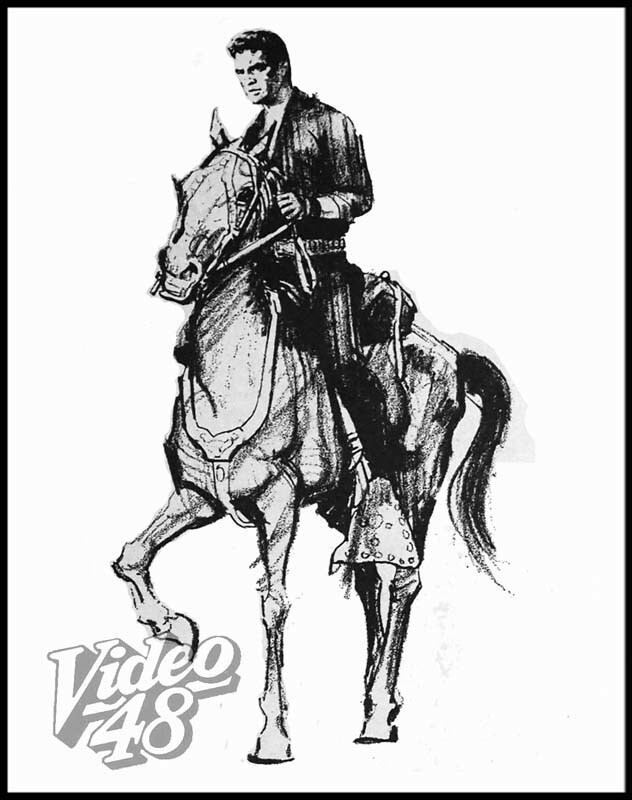 Efren Reyes Sr., according to his son, Efren Jr. pioneered the so-call Pinoy Western in Philippine movies, when his father did Bandido in 1950. 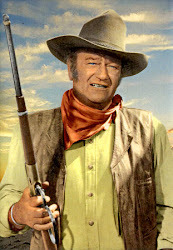 His colleagues then were reluctant and were not sold to the idea of doing the said movie because they saw it unrealistic as there were no cowboys in this country. 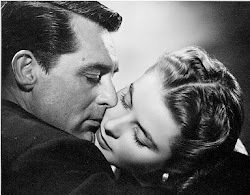 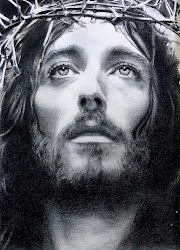 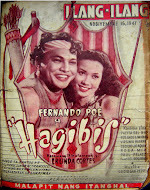 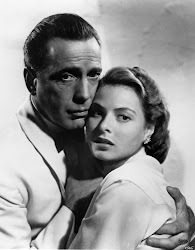 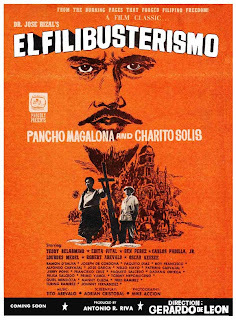 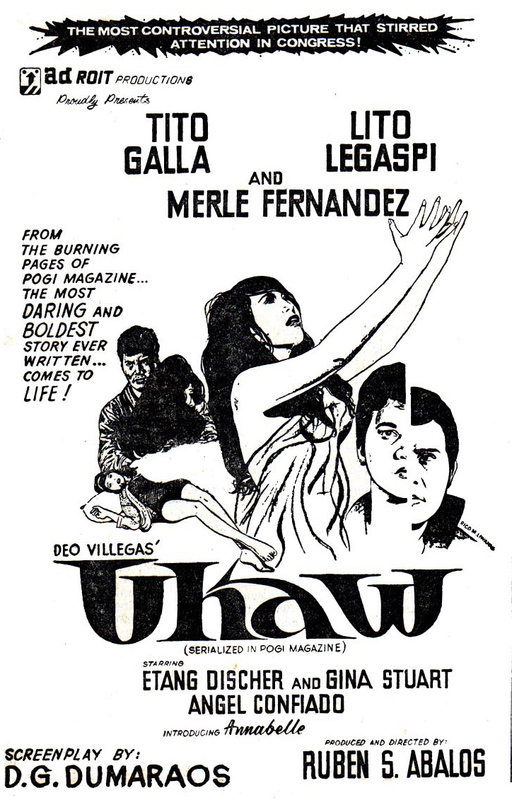 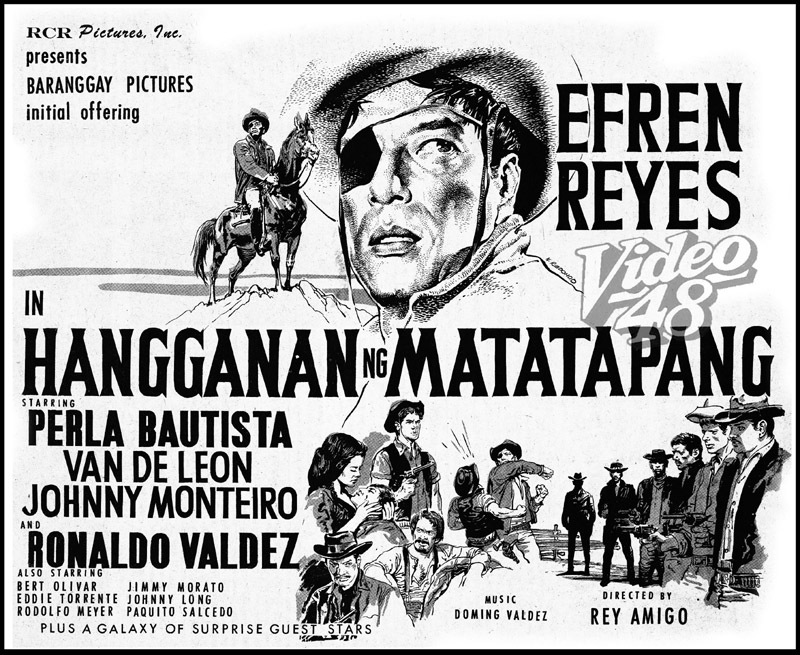 The movie later turned out to be a big box-office hit that started the western genre in Philippine cinema. 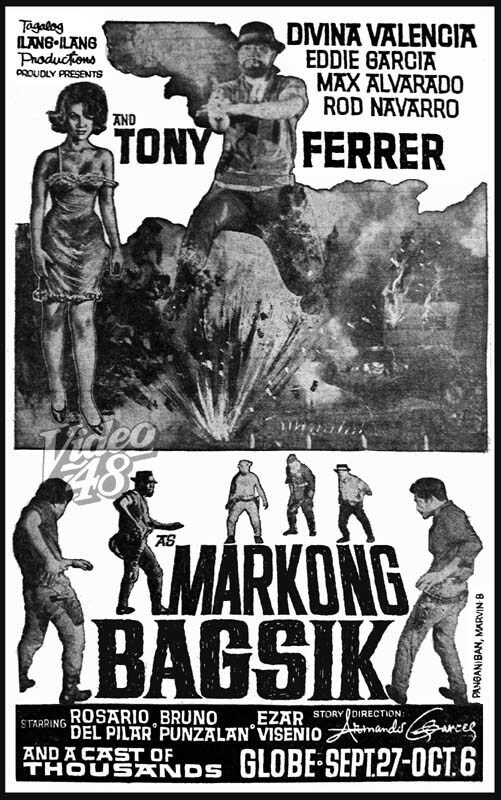 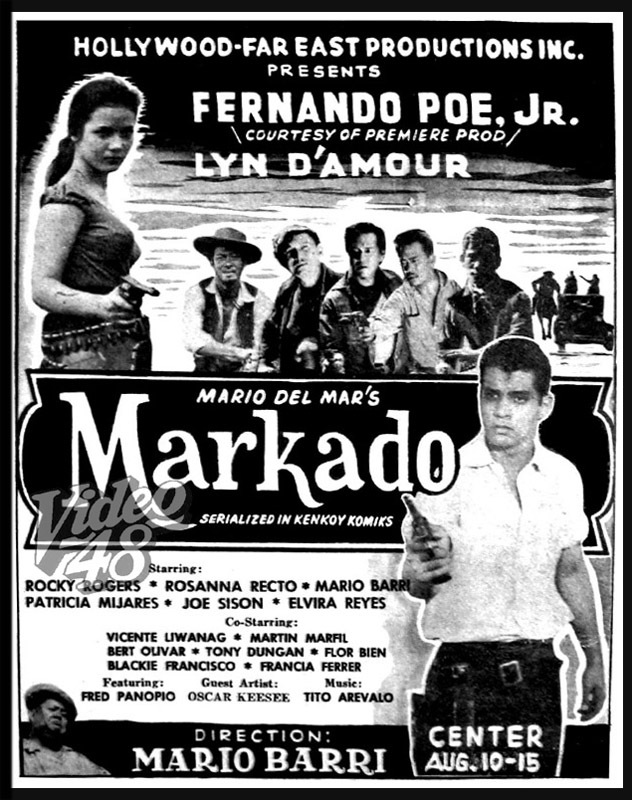 It was Fernando Poe Jr. who popularized the genre in 1960 when he starred in Markado. 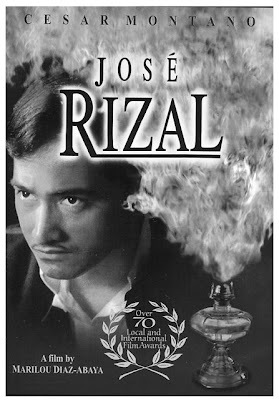 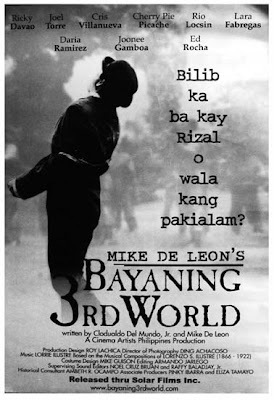 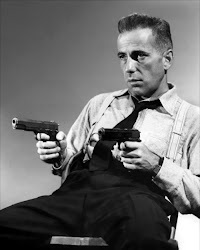 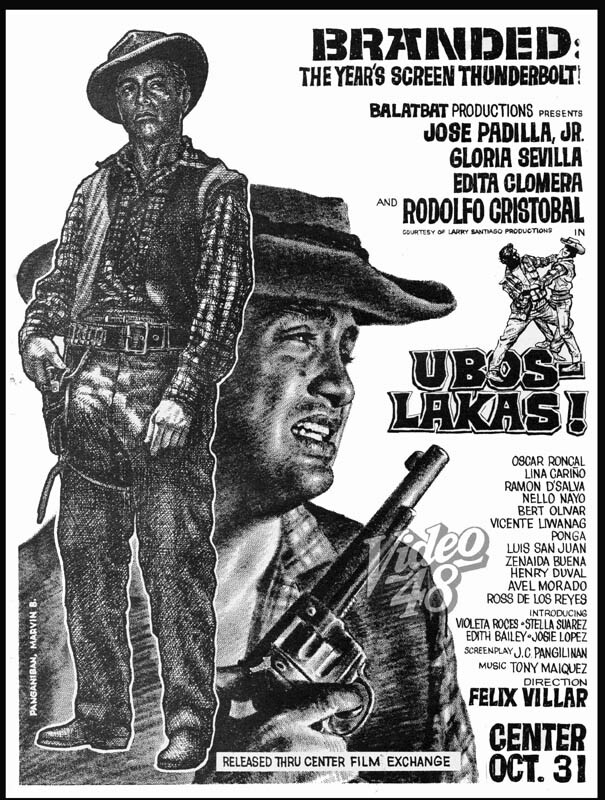 He followed this up with a series of films--- Rancho Grande, Tatlong Baraha, Dakilang 9, Baril sa Baril, Pasong Diablo, Hari sa Barilan, Bilis ng Kamay, Angkan ng Matatapang, Baril na Ginto, San Bernardo, Baril sa Aking Kamay, Hanggang May Buhay, among others. 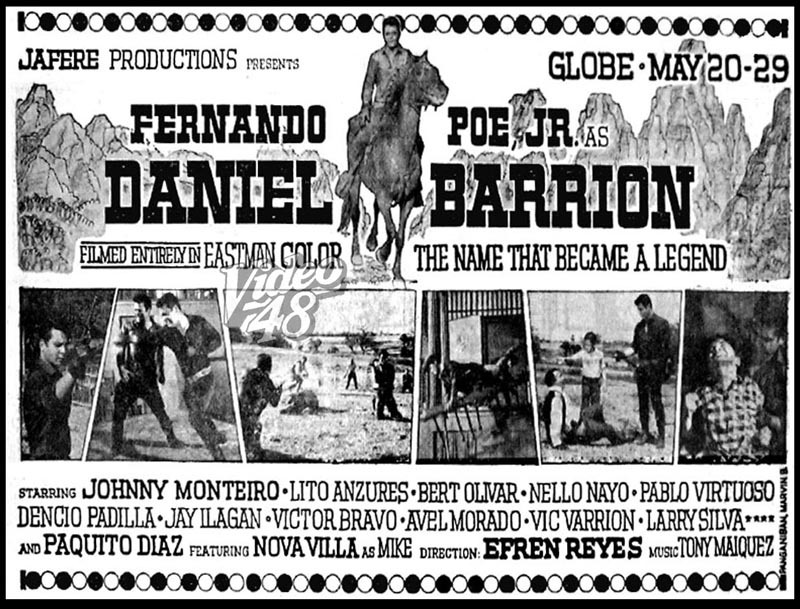 However, he was best remembered as the fast-drawing gunslinger named “Daniel Barrion." 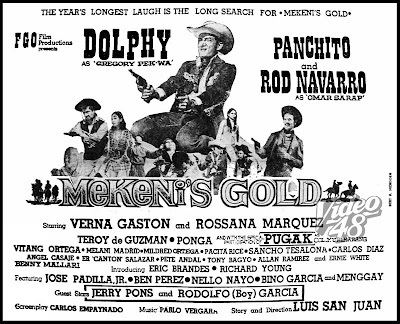 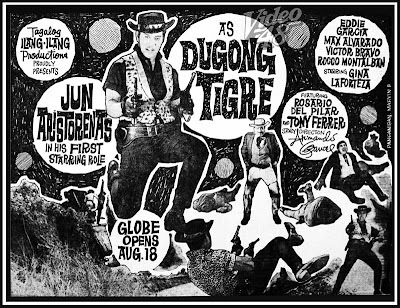 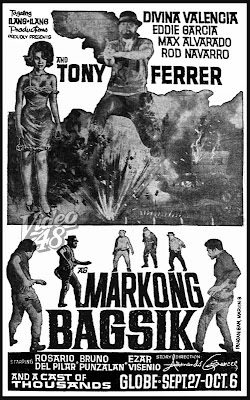 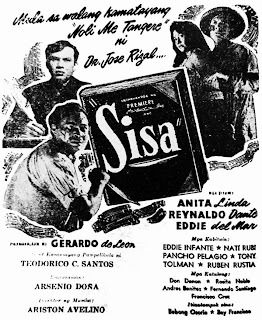 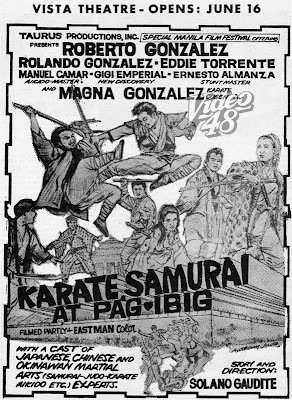 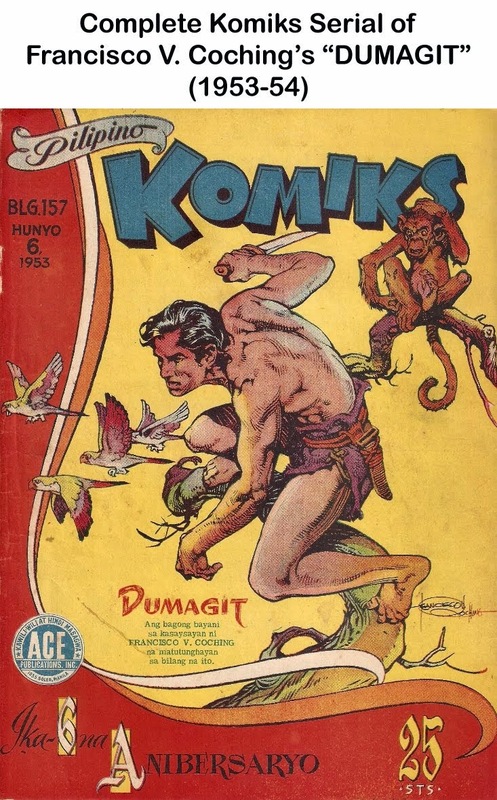 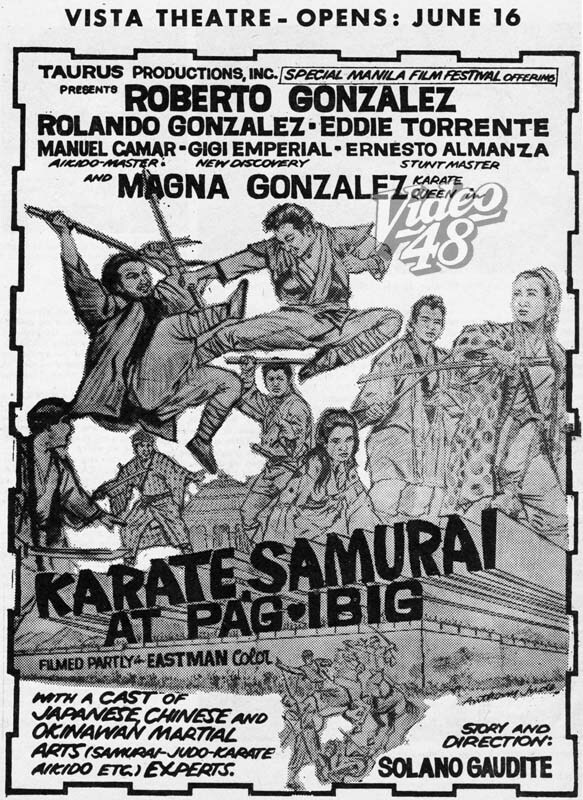 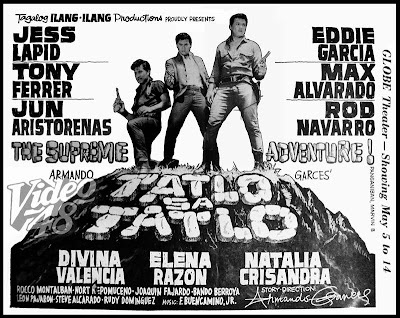 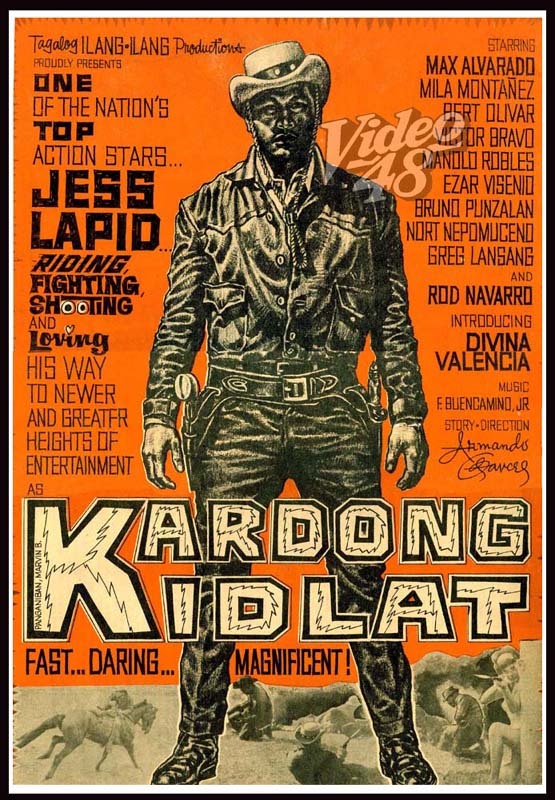 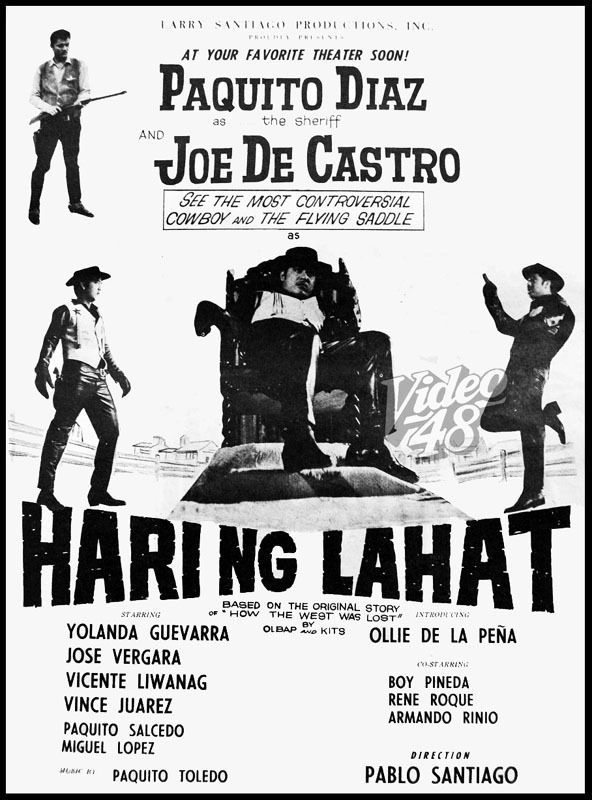 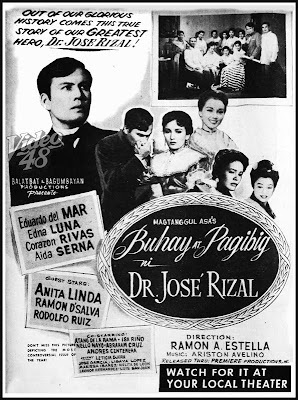 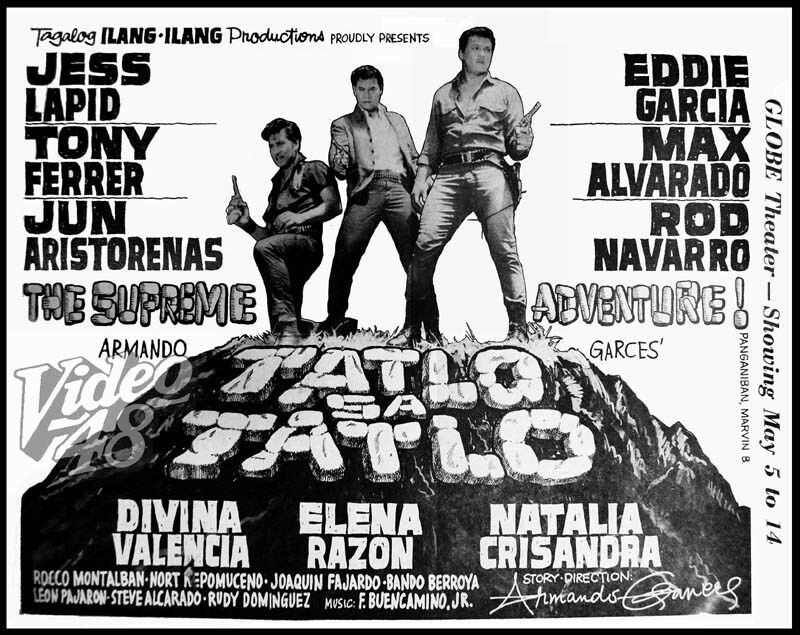 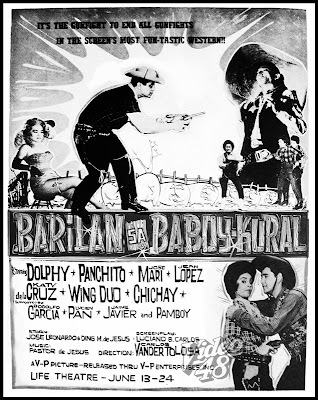 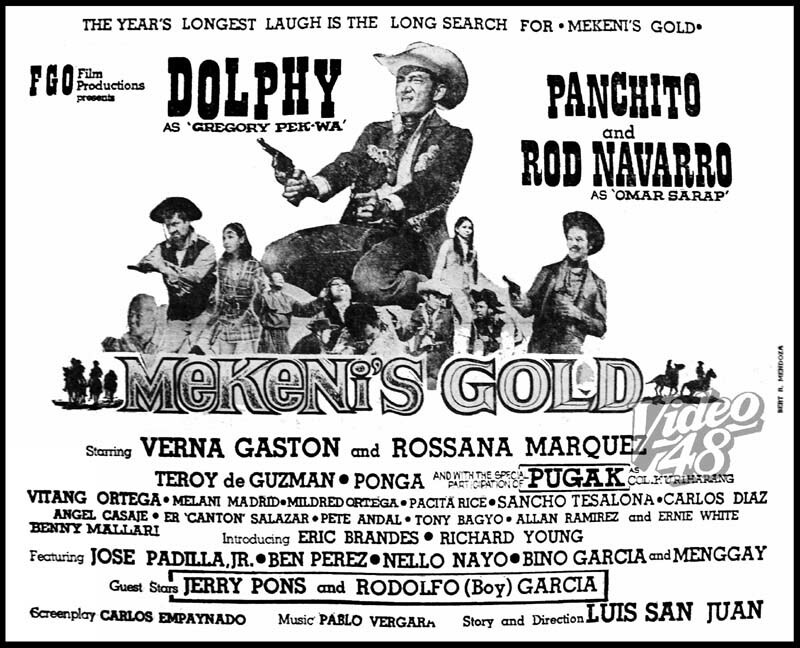 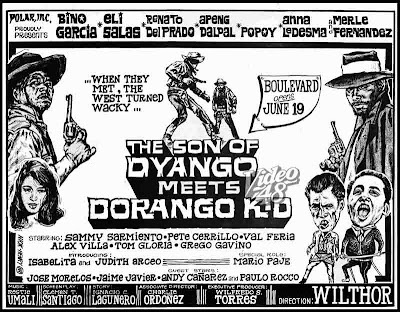 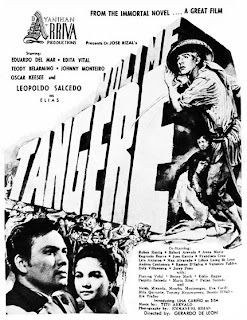 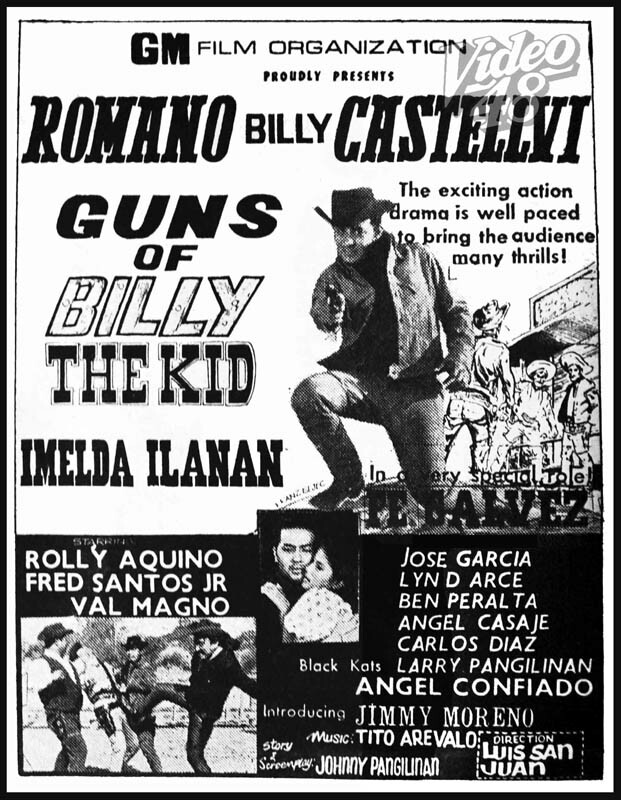 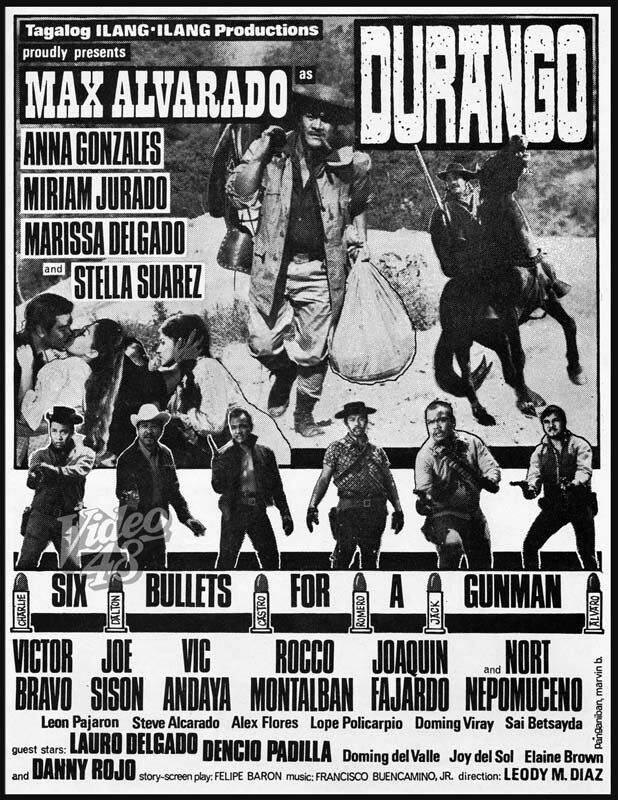 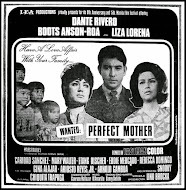 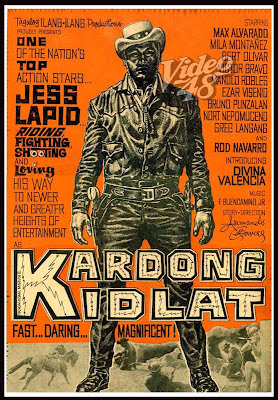 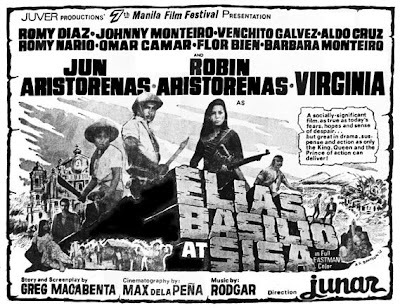 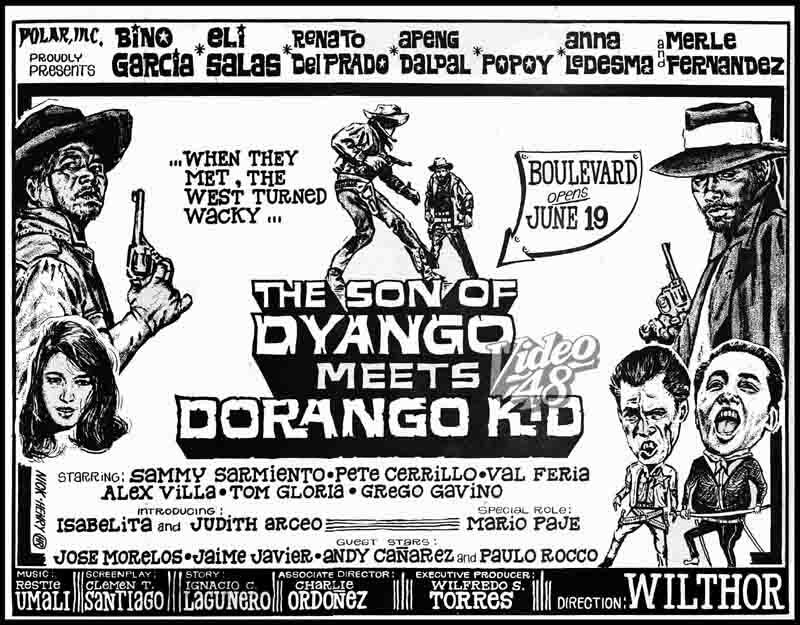 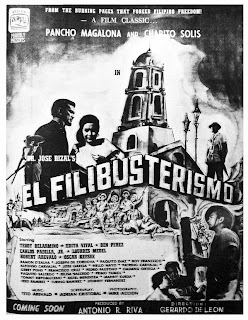 The 60s was the peak decade for Pinoy western--- other action stars followed the trend--- Jess Lapid, Sr. made numerous western movies during his brief stint at the top and was popular among his fans as "Kardong Kidlat" and "Leon Guerrero", Jun Aristorenas also made a name as “Tigre”, Tony Ferrer as "Markong Bagsik," and many more. 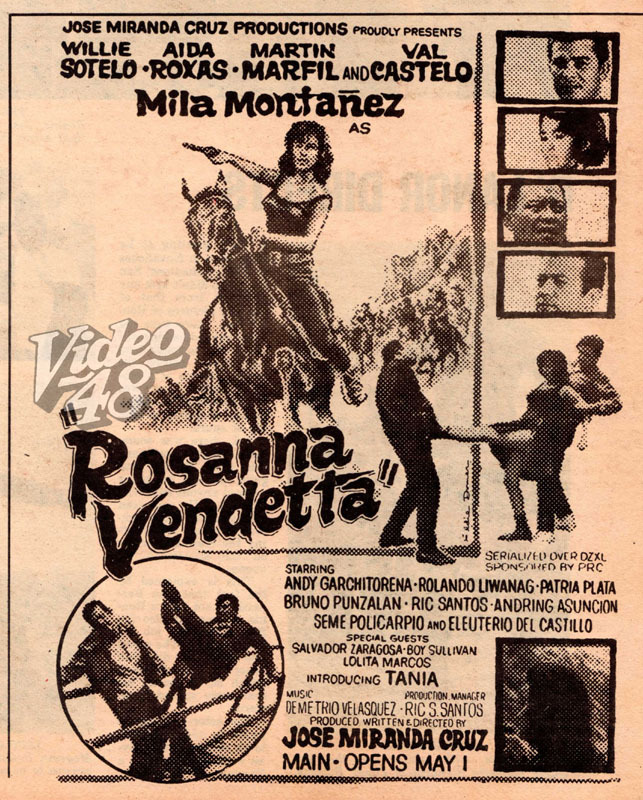 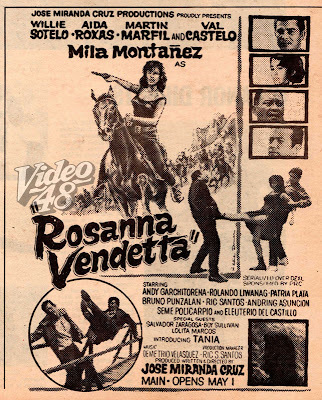 An unknown star in the person of Mila Montañez was given full stardom in 1966, via "Rosanna Vendetta." 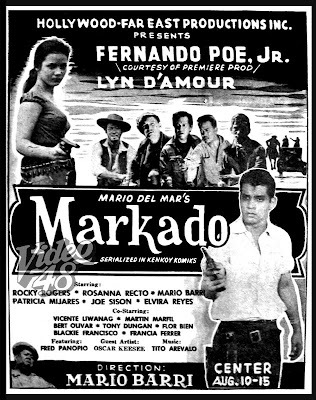 She was probably being built up in the mold of Celia Fuentes, the 50's Action Queen of Philippine Movies. 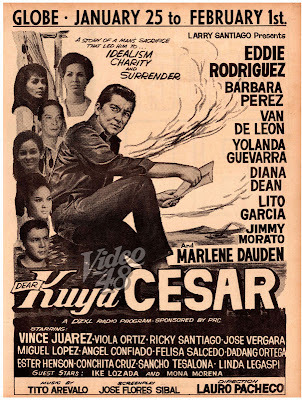 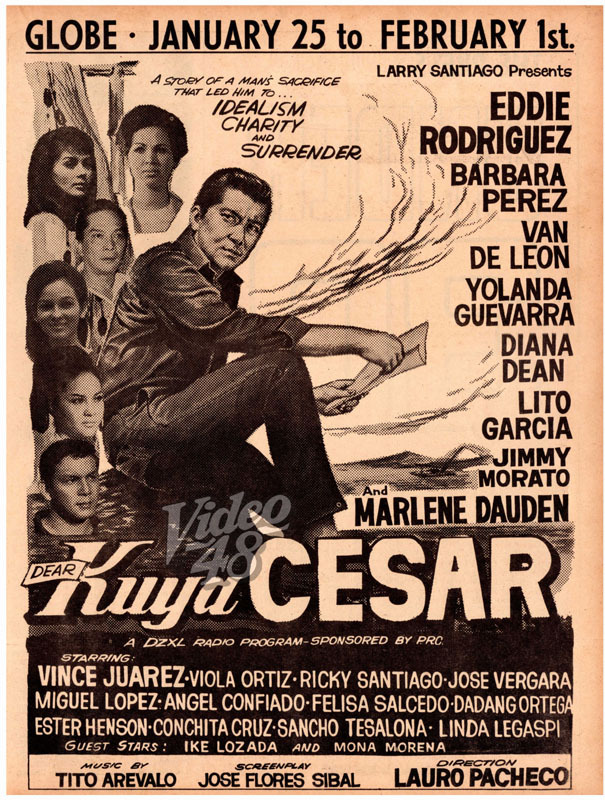 "Dear Kuya Cesar" was a popular radio program hosted by Cesar Lacbu Nucum, popularly known as Kuya Cesar. 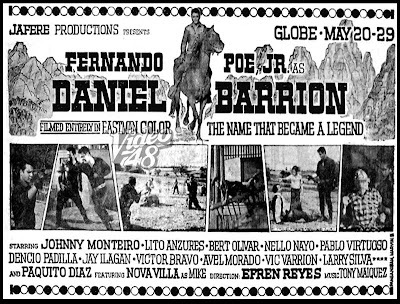 He was best remembered for his slow and monotonous way of delivering lines, a signature style, loved and endeared by the listening public. 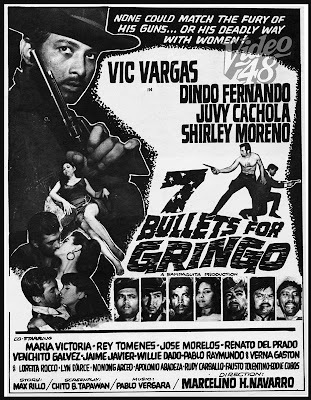 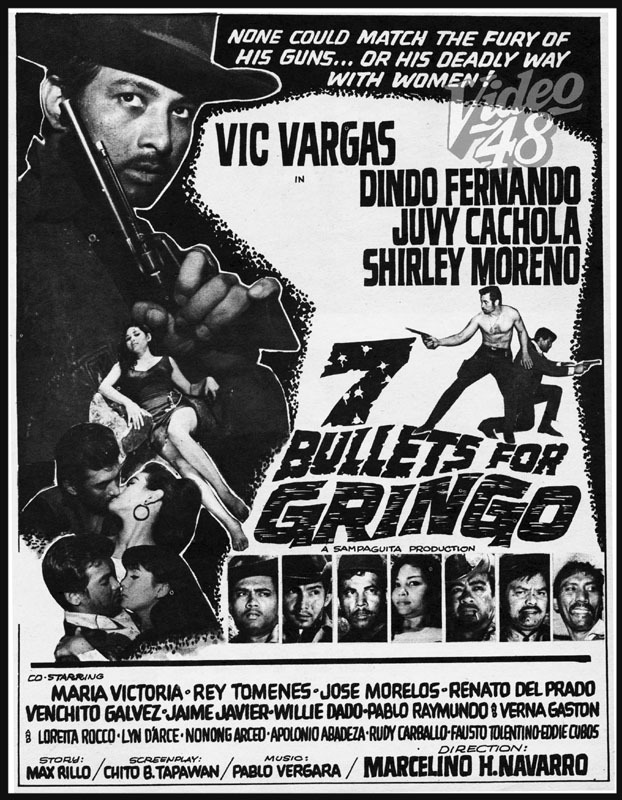 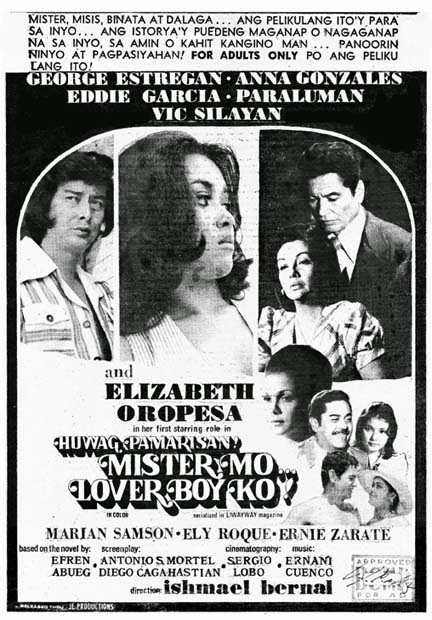 A movie was made in 1968 with Eddie Rodriguez in the lead role.